2019 International Thespian Festival registration is now CLOSED. Thank you for your patience as we work through the registration process and assess if there are any available spaces. Find your light! 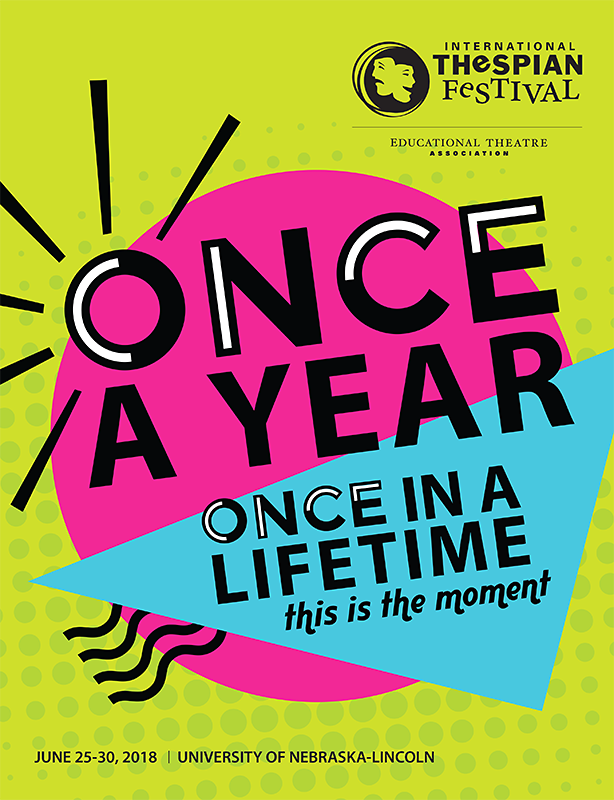 The International Thespian Festival, produced by the Educational Theatre Association, is a weeklong immersion in the theatre arts specially for high-achieving middle and high school drama students and their teachers. Setting the standard for participatory educational theatre experiences, ITF broadens horizons, enriches learning, and celebrates the creativity of theatre students and teachers alike. 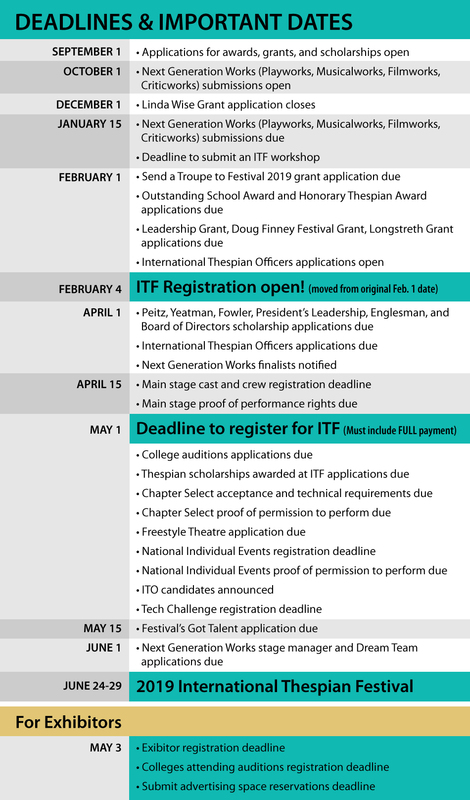 The preferred summer theatre experience for more than 50 years, ITF showcases outstanding school theatre productions on four professional stages and offers a wealth of learning and presentation opportunities encompassing all theatrical disciplines. It's your place to shine! Students and teachers can select from hundreds of rigorous and engaging workshops taught by experts in their field. Topics include acting and performing, lighting, sets, sound, makeup, costume design and construction, directing, stage management, dance, and playwriting. More specialized subjects may include puppetry, stage combat, commedia dell’arte, and more. Students can meet with recruiters from dozens of top college and university theatre programs from across the country to interview and audition for admission and for thousands of dollars in scholarships. 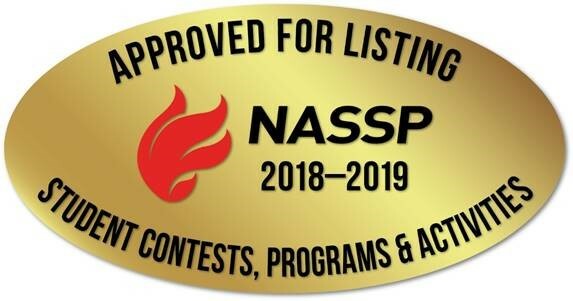 Inducted Thespians who qualify at their chapter conference event can participate in National Individual Events, a special program of the International Thespian Society that assesses and recognizes significant student achievement in theatre. Teachers can hone their skills both as theatre artists and as educators in workshops and may earn continuing education and graduate credit by taking a Professional Development Intensive seminar.